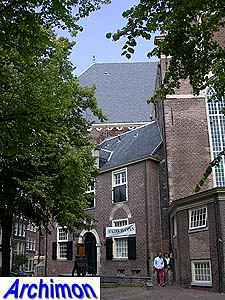 Hendrick de Keyser's "Northern Church" at first sight is a much more modest design compared to his other churches; it seems to be a fairly basic centralized church with no tower, that is barely taller than the surrounding houses. 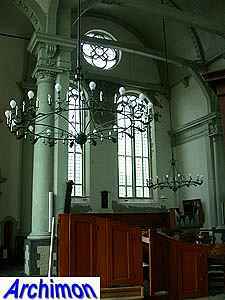 Decoration is more modest too. 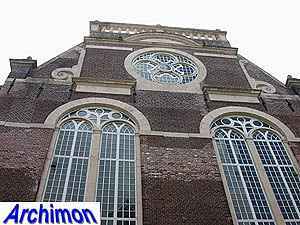 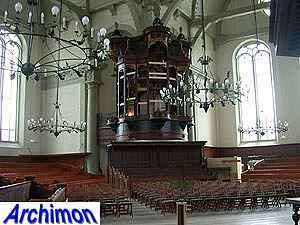 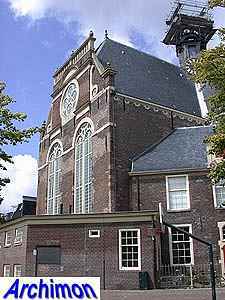 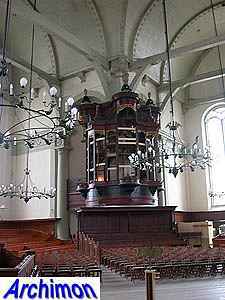 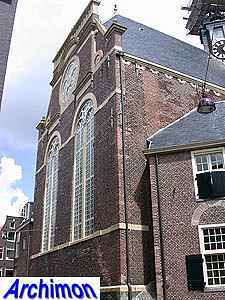 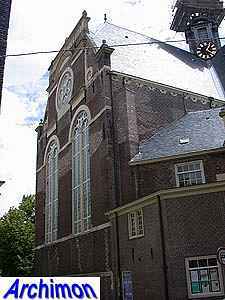 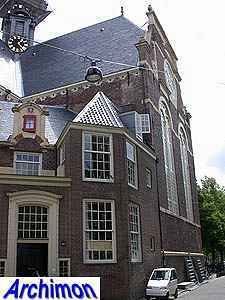 Fact is, this church was intended to be finished in a relatively short period; two churches were built at this time in the new Jordaan neighbourhood, and it was obvious that the much more monumental Westerkerk would take many more years to build. 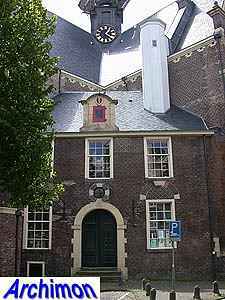 On second look, the building is a bit more interesting. 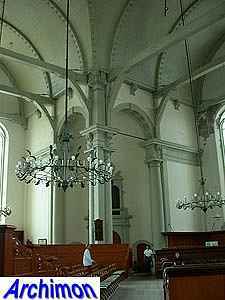 The floorplan has an octagonal shape, while the superstructure has the shape of a Greek cross. 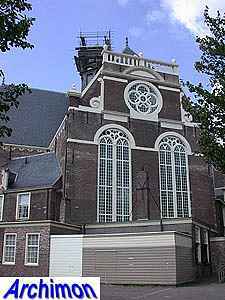 The corners are filled with additional buildings, amongst others the vicarage. 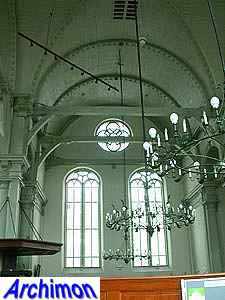 In all, this is a good example of Renaissance church architecture. 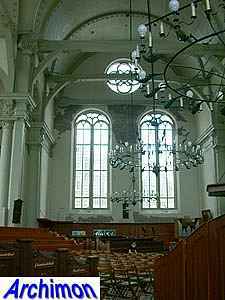 De Keyser died in 1621, work on this church was continued by his son Pieter. 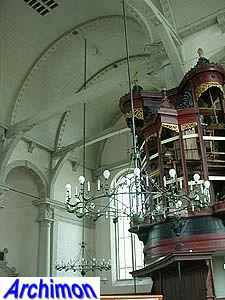 The wooden roof and the small belltower on the crossing were made by carpenter Hendrick Staets. 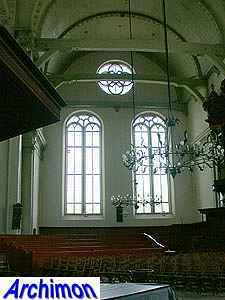 When finished, this church was considered by many to be the ideal protestant church. 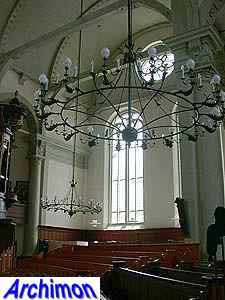 It formed the inspiration for several other new churches. 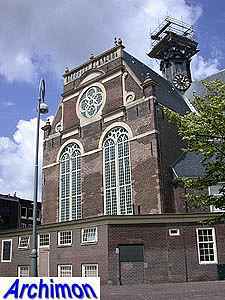 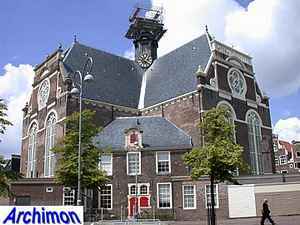 In Groningen an at first sight 100% copy was built, while in Maassluis the architect took De Keyser's design as a starting point, the result differing in many details, including a tower which was added later.